Laird Diocail Gordon has just come into his title and inherited his father's run-down castle and rag-tag clan. He knows the sorry sight of the castle would send any woman running, but is determined to find a wife to help return his home to its former glory. Widow Jane Stafford is on a mission-return to England even if it means trudging through the Scottish Highlands on foot. Her travels lead her straight to the path of danger until a mysterious, brawny man comes out of nowhere and saves her-and the spark between them is immediate. With a target on Jane's back, she knows the only way to stay safe is to go with Diocail. 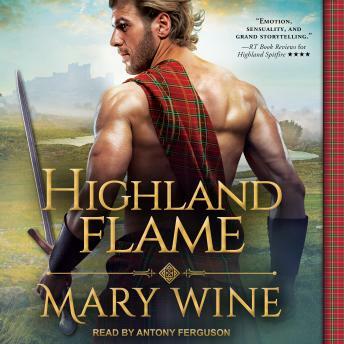 But the real trouble will be guarding her heart from her newly ignited Highland flame . . .